Historical evidence as well as mythological and religious texts indicate the use of fasting as a method of protest in India and pre-Christian Ireland. Consequently, some of the world’s longest and most politically significant hunger strikes have been done by people from these two countries. The first of such strike was done by Terence Joseph MacSwiney, the Irish playwright, author and politician who was arrested by the British on charges of sedition. To protest against his custody and the trial by a military court, he started a hunger strike which lasted for 74 days and resulted in his death. Mahatma Gandhi credited him as one of those who influenced him and used this tool to protest not only against the British but also Indians during communal riots. One of the most famous hunger strikes of recent times was by Bobby Sands, an Irish volunteer of the Provisional Irish Republican Army. The prisoners were demanding to be recognized as political prisoners rather than criminals, but the Margaret Thatcher government did not agree. The strike got international publicity as during the strike, Sands got elected as an MP. The strike was called off after the death of 10 prisoners, including Sands. I honestly don’t know enough about the history of hunger strikes to confirm or refute this. If you have any evidence to the contrary let us know in the comment section. you should contact Michael Nagler at METTA Center. Fasting in Satyagraha has to be distinguished from, on the one hand, a hunger strike which is undertaken in protest but not necessarily with the focus on changing the mind of the opponent, and, on the other, a purificatory or penitential fast — or fast for health — which may not be directed toward another at all. 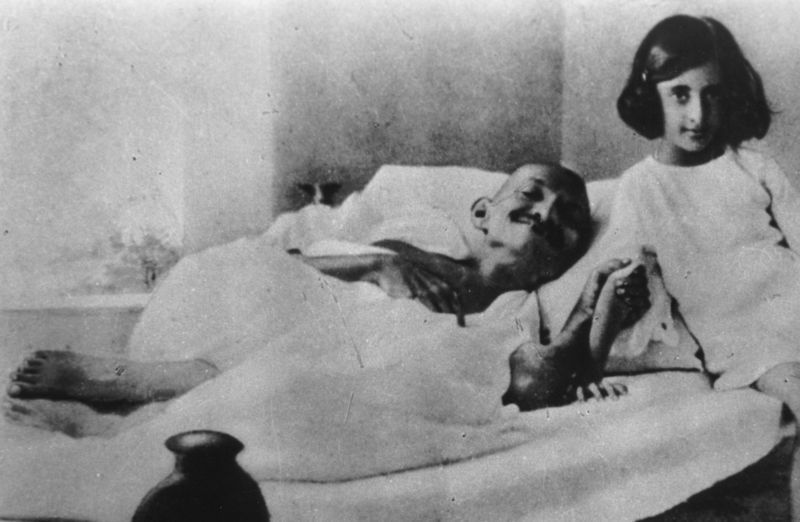 In the ‘arsenal’ of Satyargaha, Gandhi considered fasting the ultimate ‘weapon’ that should not be entered upon lightly. He himself carried out about a dozen fasts of this type, not all of which he considered successful, i.e., leading to a change of disposition in the other and not a mere change of behavior — otherwise put, an act of persuasion and not of mere coercion. 1. One must be a certain type of person in order to undertake it. In the case of a ‘fast unto death,’ for example, one must really be capable of voluntarily laying down one’s life if one’s demands are not met. 2. The person to whom Satyagraha is being offered in that form must be someone who feels in some way part of one’s community: Gandhi actually said, must be a “lover.” The act loses its meaning if the person to whom it is offered feels no such bond. Throughout his career Gandhi never really fasted against the British, but rather to awaken his fellow Indians. 3. It must be the last resort. 5. It must be consistent with the rest of one’s campaign, if not one’s life. Irish revolutionists who fasted while in Long Kesh Prison did so only because they had no access to their usual violence. Tragically, some of them were simply allowed to die. Cf. M.K. Gandhi, Fasting in satyagraha, its use and abuse, Compiled by R. K. Prabhu and Ravindra Kelekar (Ahmedabad, Navajivan Pub. House, 1965).